4 Seasons Of Reconciliation is a unique teaching tool that promotes a renewed relationship between Indigenous Peoples and Canadians. This unit is suited for the grade 10 History courses and it incorporates in-class learning with multi-media and online portals providing all of the preparations and materials needed to teach reconciliation. The history unit is composed of 5 modules each 75 minutes in length, spanning one school week (5 days) of in-class learning. 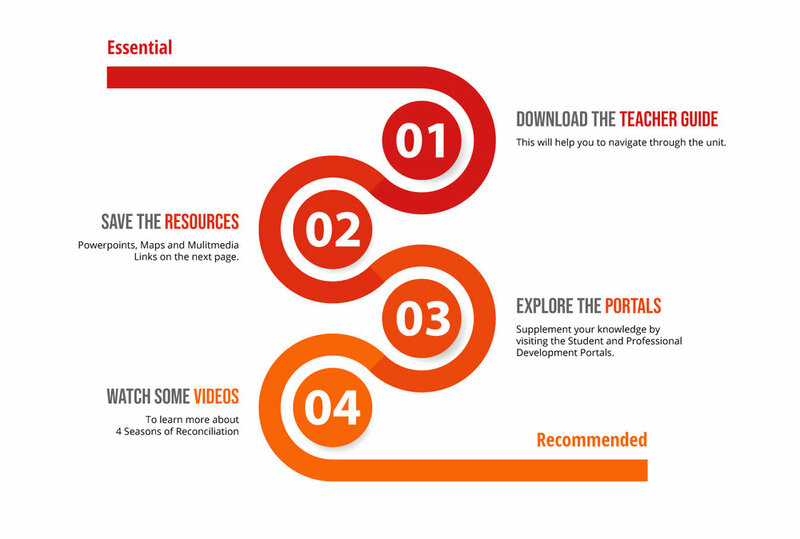 Teachers are provided with ready-to-use PowerPoints, several multimedia resources, and a comprehensive teacher's guide. This unit features the viewing of the film Third World Canada, class discussions and student group presentations. This portal includes the Professional Development Section which can be shared with education staff to deepen their own awareness of 'Truth and Reconciliation' and provides additional classroom resources for other subjects. This foundational document will help you navigate the entire unit and its multi-media and PowerPoint components found in step 02.